hey guys! just dropping in today with a quick recipe! this one is one of my favorites and defintely makes an appearance at least once a week! 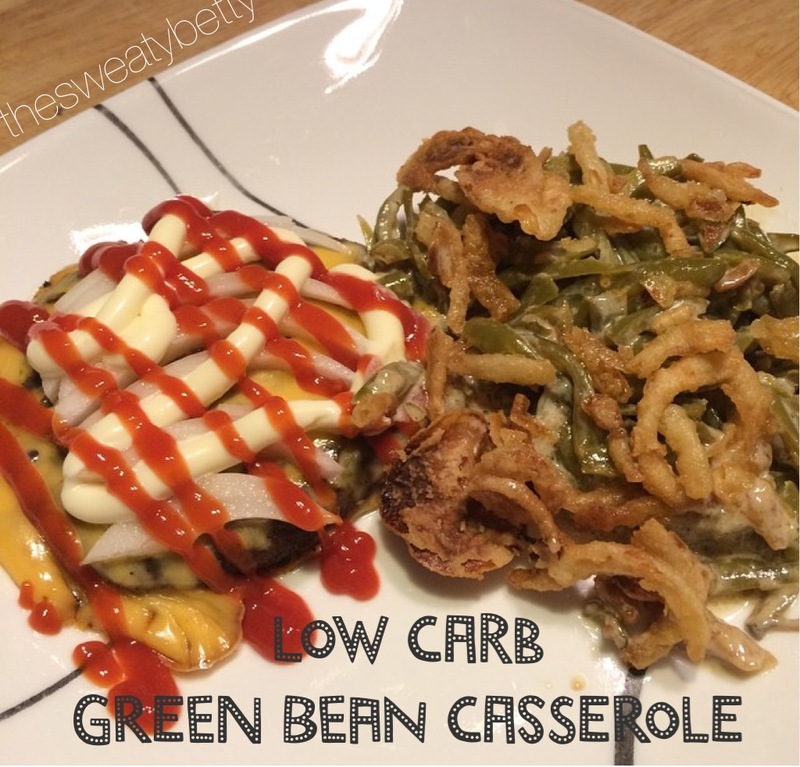 its also a PERFECT low-carb dish for thanksgiving tomorrow! i plan to stay low-carb this thanksgiving, sticking with turkey, mashed cauliflower, and this green bean casserole. i will have to stay away from my favorite: stuffing, but that’s the only food that is hard to resist for me this holiday. in a sauce pan, over medium/high heat, melt butter. once butter starts to melt, add Lipton Onion Soup Mix and whisk until combined with butter. add in heavy cream and whisk for about 2-3 minutes. at this point, the mixture should start to become pretty thick, like a gravy. place green beans in a small casserole dish. add thickened mixture to green beans and mix well. bake for about 10-15 mins, or until green beans are heated through and no longer soupy. remove casserole from oven and top with fried onions, then place back in oven for about 3-5 minutes, or just long enough for them to get crispy. hope you all like this recipe! its a perfect addition to your thanksgiving dinner menu! if you make it, let me know how you like it and tag me in your pictures on instagram! i love seeing people make my dishes!